Click on the links below for maps; you can view the availability of stalls for the show in the listings table. No live cooking is allowed in the Dolman Hall, except in the Concessions Catering Stands. Power CAN be booked at stalls coloured in yellow, and power CANNOT be booked at stalls coloured in blue. The Dolman Hall, South Concourse Corner, South Concourse and West Concourse are open from 11am – 6pm on both days, and will be shut at 6pm on both days. The outdoor pitches can trade to the public until 11pm on Saturday and until 9pm on Sunday. 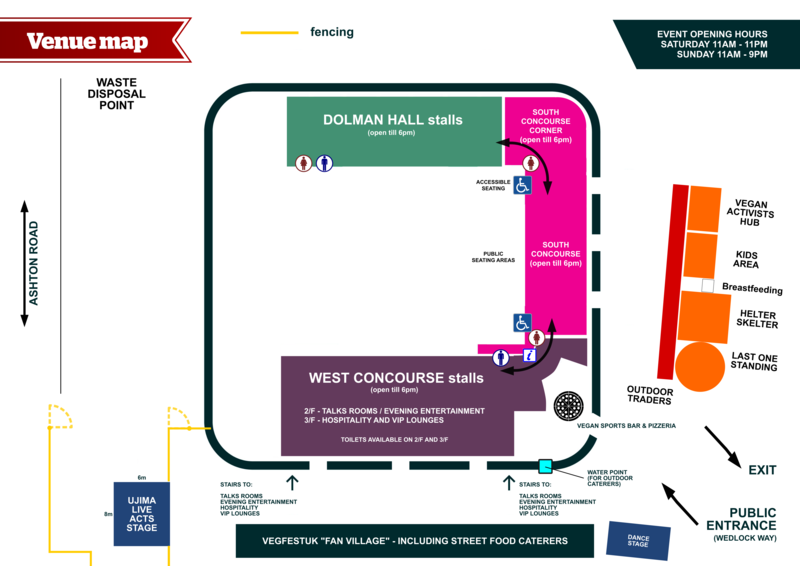 Scroll down for the stall availability to see which stalls are booked & which are available. DE6 Carmen del Rio. Carmen del Rio.